The ME40 beginner microscope is suitable for field studies to examine both transparent microscope slides and solid objects (e.g. flowers, insects, rocks). Combined with a 10X wide-field eyepiece, it provides total magnifications of 40X, 100X and 400X. 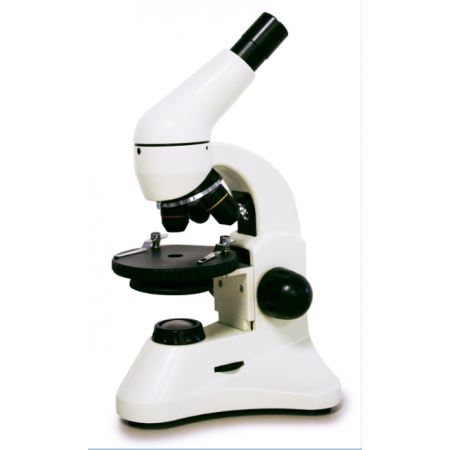 This microscope is constructed with a durable all-metal frame and is equipped with built-in 3-way LED illumination with light intensity control. Operates on 2 AA batteries or by using included AC adapter. Suitable for students from grades 3-6.